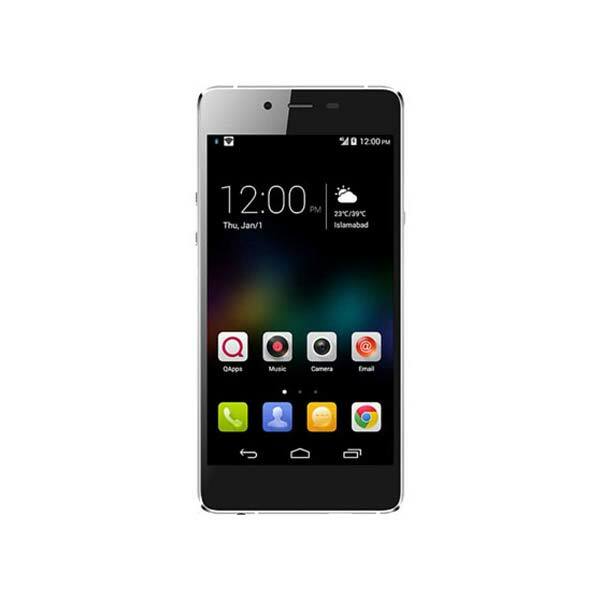 QMobile Noir Z9 lowest price in Pakistan is Rs. 19,499. The price was updated on 21st April, 2019. You can read price, specifications, and reviews on our website. QMobile Noir Z9 is a Quad-core 1.2GHz phone with Cortex-A53. Noir Z9 is one of the remarkable phones from QMobile, which is the biggest Pakistani smartphone manufacturer and is very popular. With the price of Rs. 19,499, it offers brilliant specs and features. The phone was released very recently in July, 2017. It has an 8MP/5MP camera. The phone has a 4.8 inches screen. It also has 2GB RAM storage, and 16GB internal storage. QMobile Noir Z9 is a bar type phone, with a 4.8 inches screen. It has AMOLED capacitive touchscreen with Corning Gorilla Glass 3 protection. Noir Z9 is available in White and Black color. The phone has 720 x 1280 pixels resolution and 306 ppi pixel density. Noir Z9 has primary and secondary cameras. The phone has 16M display colors. It also has an LED flash at the back. The phone is very light in weight, weighing only 91g. It is a good looking phone with 141 x 68 x 5.1 mm dimensions. The phone has a Qualcomm MSM8916 Snapdragon 410 chip. QMobile Noir Z9 accommodates a Nano SIM. It doesn’t have any card slot. The phone has a Qualcomm MSM8916 Snapdragon 410 chip. The phone has an 8MP primary camera, with good image quality, and a 5MP secondary camera. The camera has great features like autofocus as well as geotagging, touch focus, face detection, HDR, and Panorama. It records videos with 1080p@30fps. QMobile Noir Z9 has a non-removable Lithium-Ion battery. The battery has a capacity of 2,000 mAh. It works great with its standby of up to 345 hours and talk time of 8 hours. QMobile Noir Z9 has a great performance. It runs on Android 5.0 (Lollipop) software. The phone has a 4.0, A2DP Bluetooth with Wi-Fi 802.11 b/g/n and hotspot. The phone offers great value for its price through its built-in apps, great image quality, call quality, as well as battery timings. - The latest price of QMobile Noir Z9 was obtained on 21st April 2019. - Buy QMobile Noir Z9 online in Pakistan for the lowest price. There are different payment options for online buying. You can also avail the options of Cash on Delivery (COD) and Online Credit Card Payment on purchase of this product.